In a new semi-regular column, Intercom will share sound files of pronunciation so we can all learn to say Te Reo Māori words correctly – where possible, before we develop bad habits. The first word is Rehua – the name that the refurbished former Commerce building will be known as when it opens. 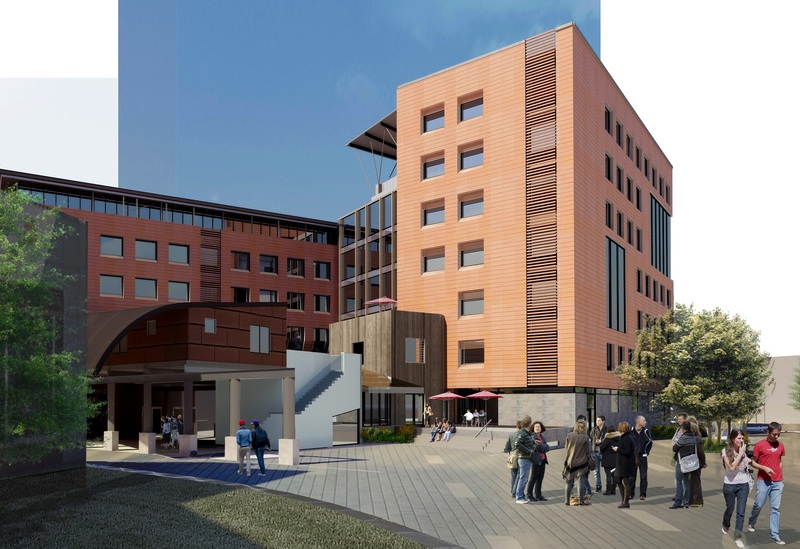 The College of Education, Health and Human Development | Te Rāngai Ako me te Hauora, UC Centre for Entrepreneurship (UCE) and UC’s Executive Development Programmes (EDP) are moving to the Rehua building in the heart of Ilam Campus in late 2017. If you have a query about how to pronounce a Te Reo Māori word correctly, send your request via the Te Ohu Reo request form and we will endeavour to feature it in a future column. Tēnei te Iwa o Matariki – ka riakina ki ruka! Ka tatū mai a Tākuta Rangi Mātāmua ki Ōtautahi i tēnei wīkene kia whakatairaka ai i tāna pukapuka hou, arā ko Matariki, Te Whetū o te Tau. 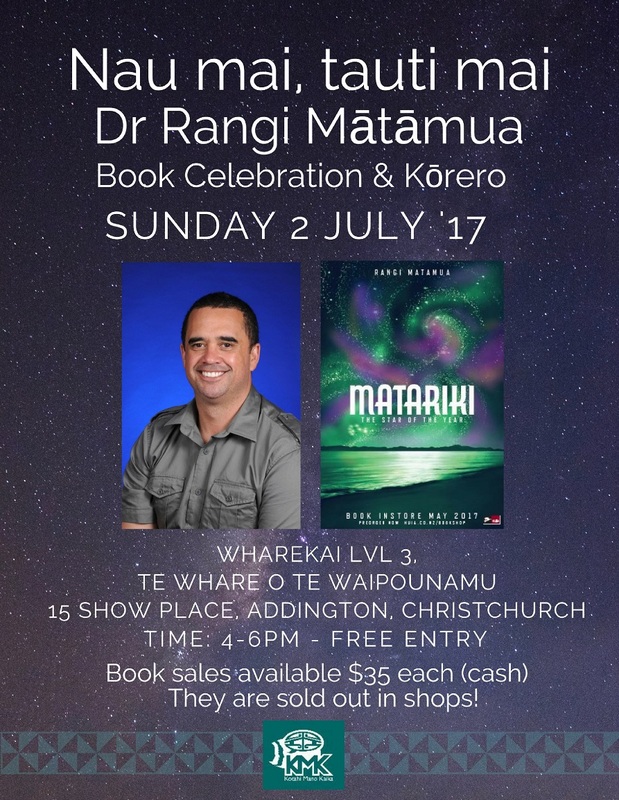 We are very fortunate to host Dr Rangi Mātāmua in Christchurch this year to discuss his new book, Matariki, The Star of the Year. He hui ā-hāpori tēnei, nō reira – nau mai, tauti mai! (Te Rūnanga o Ngāi Tahu), Wharekai – Level 3, 15 Show Place, Addington, Christchurch. Unfortunately all of Dr Mātāmua’s books are sold out online and in all shops however there will be book sales available at this event. The cost will be $35 dollars each however they will sell quick so to register your interest in buying a book, please contact tawini.white@ngaitahu.iwi.nz. In this UC Business and Law video, former UC student and PhD candidate at the University of Sheffield talks about Te Tiriti o Waitangi and its role in Aotearoa New Zealand life. The BSNS201 Business and Culture in Aotearoa and Beyond course explores biculturalism, interacting with Te Ao Māori – the Māori world and the role of Te Tiriti o Waitangi in the history and current business context of Aotearoa New Zealand. Before enrolling on this course, staff should first attend Tangata Tū, Tangata Ora through the UC in-house Professional Development workshops. The recent Teaching Week featured four presenters speaking about Developing Practical Strategies for Technology-Enabled Learning. Watch Greg Armfield from the Executive Development Programme talk about a self-paced online course for academic preparation. The UC Liaison team hosted about 80 school careers advisors on campus this week to show them what UC has to offer potential students. The careers advisors toured several of the accommodation halls and heard presentations from each of the Colleges, as well as support and development staff. They were also able to see new facilities such as the Engineering Core and Arts Centre.